← Question: Why Should I Exercise My Right to Remain Silent When Being Interviewed by the Police? By submitting to a polygraph, you are voluntarily waiving your right to remain silent. Your right to remain silent is one of the key protections that you have to prevent a wrongful conviction. Your right to remain silent is discussed in more detail here. 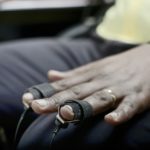 In fact, if the police are asking you to submit to a polygraph or lie detector test, they are rarely making that request because they genuinely seek some insight into whether or not you are guilty. Usually, they are already convinced that you’re guilty and are trying to get you to confess. Bear in mind that in cases involving sexual assault, sexual interference or invitation to sexual touching, the police are very motivated to obtain confessions from a suspect so that a complainant doesn’t have to testify at a trial. Moreover, in the case of sexual offences involving children, a confession is often the only way that a charge of sexual assault can be proven beyond a reasonable doubt. Thus, the police will use whatever legal methods they can to obtain a confession. By getting a person who is a suspected of committing a sexual assault to agree to take a polygraph, a suspect can be effectively tricked into waiving their right to silence thinking they have something to gain. Most of the time, in reality, they do do not. Here’s why. Polygraph examinations consist of three stages. There is the pre-test interview, the in-test questioning and the post-test interview. In the course of the pre-test interview, you will be informed of the specific sexual offence or allegation that is being investigated, you will be asked to sign a waiver whereby you agree to take the test and that the results will be used in the investigation. You will be told how the instrument works, and you will be invited to ask any questions. You will then be asked for “your version” of what is alleged to have occurred. The examiner will then review with you the questions that will be asked in the examination. At this pre-test interview, then, in providing the police with “your version” or “your side of the story”, you expose yourself to those very concerns outlined in our earlier post, Why Should I Exercise My Right to Remain Silent When Being Interviewed by the Police? The next phase is the “in-test phase”, where the examiner connects you with painless sensors to the polygraph instrument. The examiner will then usually administer three to six tests lasting five minutes each with a short break between each test. At the conclusion of the test, the examiner will assess and interpret the data and provide one of three opinions: you are telling the truth, you are not telling the truth, or the data is inconclusive. The final phase is the post-test interview. What the police will commonly do at this phase is tell you that you have failed the polygraph examination (even if you haven’t) and use this “failure” as a way to pressure you to confess. It is important to bear in mind that while a polygraph examination is not admissible in court, whatever you say and how you react during the pre-test and post-test interviews is admissible if the prosecution were to decide they wanted to use it. As with most previous out of court statements by an accused, they are not admissible at the instance of your criminal defence lawyer. In other words, if the prosecution thinks the pre-test and post-test interviews help their case, they will use them; if not they won’t. It’s not up to you or your lawyer. Will the police ever close an investigation if you pass a polygraph? The answer is “sometimes”. Sometimes the police have cases where they themselves are suspicious of whether certain allegations are true. Examples of such cases might include those where there are vague allegations involving very young children in the context of a child custody dispute where there is an indication of coaching, or where the complainant’s recollection is poor because he or she was under the influence of alcohol or drugs. In such cases, some officers may themselves have difficulty making up their minds whether or not to proceed. Where a suspect passes a polygraph examination, this can provide the police or the Crown Prosecutor with the justification or political cover not to proceed with charges in cases where they have concerns about the veracity of the allegations. The good news is that in this situation, you can often have your cake and eat it too. 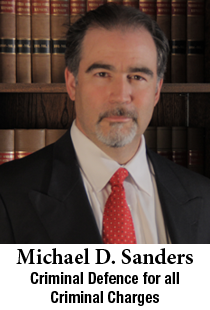 As a sexual assault lawyer, I work with polygraph examiners who are retired police officers who can conduct a private, confidential polygraph examination. If the results are positive, they can be provided to the police. If they are not, then the results remain confidential. In this way, if the police are genuinely prepared to exonerate you if you pass a polygraph, we can take advantage of that opportunity without running the risk that is simply a ruse to get you to waive your right to silence and open you to police trickery and intrusive investigative methods.